The world according to Each day this summer we interrogate a key current affaires witness on the aftermath of the crisis. For banker Olivier Klein, the economic crisis is an indication of a world transformation which should see China playing a major role alongside the United States, and our daily lives changing due to nanotechnology. 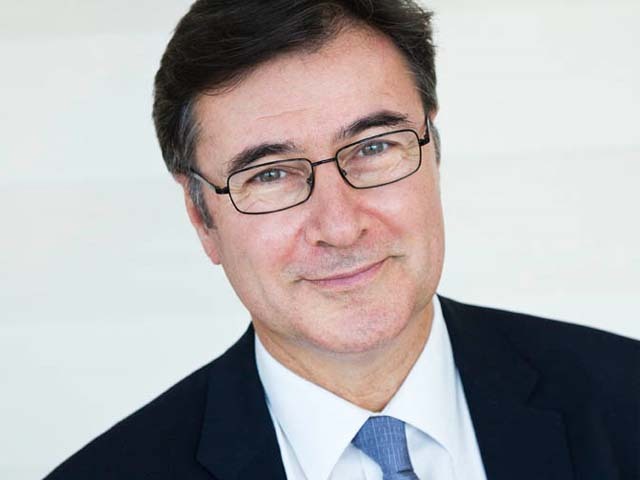 A graduate of ENSAE and HEC, Olivier Klein has had senior responsibility in key areas (risk management, mergers and acquisitions, capital investment) in the banking world (BFCE, Natexis, Caisse d’Epargne). Renowned for his teaching talents, for over twenty years this Russophone has simultaneously held down a career as an associate professor at HEC. It is said that the economic crisis will make our world different and that “things will never be the same again”. Do you share this view? “The crisis consists precisely in the fact that the old is dying and the new cannot be born”, wrote Antonio Gramsci at the start of the twentieth century. Every fundamental capitalist crisis is in effect a time of deep transformation where a new mode of regulation painfully emerges, different from the previous one which has become less effective. Post facto, we can discern its consistency in making new dynamic industries appear, pushing growth; new more productive work organizations; and new consumer trends. However, a new centre of the world-economy usually appears which channels and dominates the rest of the capitalist world. This global transformation will prevent the degeneration of the system and give it back its vitality and efficiency. The first transformation, which we know about in our globalised world, is the emergence of at least one new power which each day gains ground not only in terms of economic weight, but also political, diplomatic and tomorrow probably monetary too: China. Contrary to different past forms, it is possible that we will see a multi-polar world, inevitably more unstable but undoubtedly more balanced with the coexistence of American and Chinese forces. Europe will only take its place in the game if it offers the means to organize itself as well as power, in other words being more unified. What are the new driving forces of economic growth? New leading industries will be linked, it seems, to future challenges. Telecommunications industries, developed at the beginning of the 1990s, are still bringing new sources of productivity gains. However two major sectors are at the heart of the current technological and industrial revolutions. In particular, biotechnology will allow better repair of our bodies, and enlarge the domain of merchandise ; the perpetual enlargement of merchandise being the driving force of capitalism. We will soon be able to better fight diseases, but also buy biotechnological machines to replace a particular defective part of our body, also slowing the effects of old age. However, we are now aware from this point forward that we live in a world of limited resources. Furthermore, as Obama correctly points out, new growth will also be based on industries able to save energy and all technologies which can produce and store renewable energy. Both bio and green technologies will rely on the development of nanotechnologies. Should we really believe in green growth? “Green” innovations will be essential in supporting growth as well as in creating new industries, but also because they release the constraints linked to the finite nature of natural resources which impact economic growth. In effect, as soon as there is a slight economic upturn, prices of raw materials (including oil) and higher interest rates stunt any possible return to growth. And how will employment be affected? New modes of communication will help to bring changes to work organizations. Working from home, working away from the office and flexible working are quickly developing and will shape work relations and modify salary norms. Also, consumer norms are experiencing significant changes, with the emergence of new anovoidable consumer products (e.g. mobile phones) different to those ten fifteen years ago. Will capitalism continue to be our economic model? A new type of regulation of capitalism is probably in the process of emerging. Its outline is still blurred, and it is appearing, as to be expected, with resistance, hesitations and failures which punctuate the serious crisis of transformation which we are aware of today. As always, new technologies as for new ways of living which emerge can be based on fairness, humanism (the struggle against the effects of old age, the protection of out planet, etc.) and democracy, and so can be promising for progress and a better world. However, we also know that a bad direction would be possible: a support to terrorism or totalitarianism. The world seems to be at a crossroads which will affect the future of human societies. “Never waste a crisis. It can be turned to joyful transformation.” Positive words on the future from Rahm Emanuel, a close aid of Obama.